The Octagon makes its way to the United Center in Chicago in what has become the biggest UFC event of 2018 thus far. The Octagon makes its way to United Center in Chicago on Saturday for what has become the biggest UFC event of 2018 thus far. UFC 225 will play host to two title fights on the night, as middleweight champion Robert Whittaker looks to unify his title opposite interim champion Yoel Romero, and former lightweight titleholder Rafael dos Anjos faces off against Colby Covington for the interim welterweight belt. But with as stacked a card as Saturday’s, there’s bound to be more excitement involved. 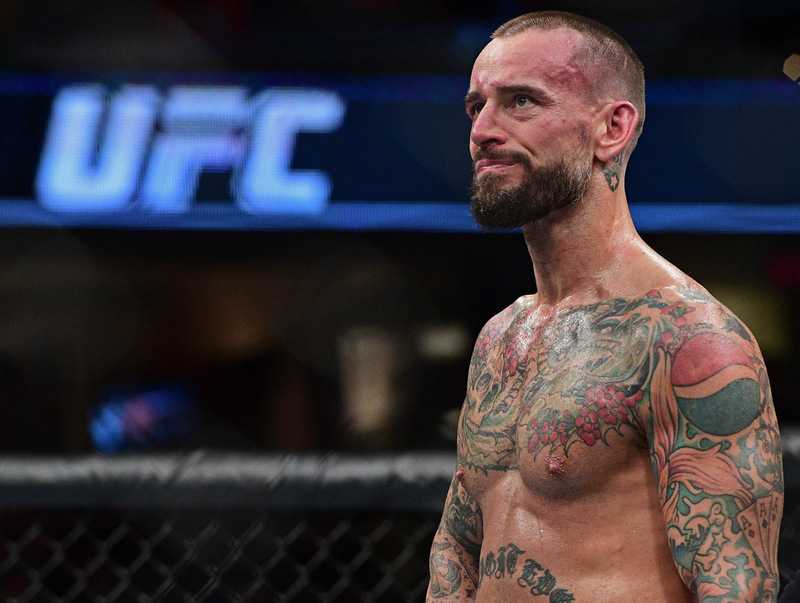 We take a look at the four biggest storylines UFC 225 has to offer: __CM Punk gets another crack at the Octagon__ It’s been nearly two years since UFC 203, a night that featured one of the worst, most disappointing high-profile debuts in company history. CM Punk, he of professional wrestling fame, finally stepped into the UFC cage a few short years after announcing he was leaving the squared circle for a shot at a career in MMA. It didn’t go well. With virtually no meaningful martial arts experience under his belt prior to beginning his journey, Punk – whose real name is Phil Brooks – spent roughly two years preparing himself for untethered combat. His first MMA bout would take place against one Mickey Gall, who at the time sported a meager 2-0 record. Gall made quick work of Punk to extend that run to 3-0, stopping the former WWE champion at the 2:14 mark of the opening round. Punk didn’t land a single strike, taken down just seconds into the bout before being smothered and pummeled on the mat. It wasn’t immediately clear if Punk would give it another go at MMA, considering how poorly his first try went. But here we are, some 21 months later and just a few days away from Try No. 2. The former WWE star faces Mike Jackson, the man who took part in a winner-takes-Punk matchup against Gall back in early 2016. Like Punk, Jackson didn’t fare well or last long against Gall, stopped just 45 seconds into the contest. Much mystery remains as to whether Punk stands a chance to bring his record to .500. We’re fairly certain he’s improved since his 2016 debut, but how much? Regardless, his improvements likely won’t amount to much beyond Saturday’s UFC 225. This should represent little more than redemption, and he's a +195 underdog vs. Jackson, the -235 favorite, [per 5Dimes](https://www.5dimes.eu/news/odds/Fighting/UFC/). __Megan Anderson finally makes her debut__ Initially scheduled to make her UFC debut in July of last year, “personal issues” prevented the young featherweight contender from attempting to dethrone longtime 145-pound champ Cris Cyborg. Anderson has since remained on the sidelines, poised to end a 17-month layoff when she walks into the cage Saturday night. Anderson is seen by many as a future player in MMA’s featherweight division, albeit one expected to have a much more pronounced role once Cyborg decides to retire from the sport for good. At just 28 years old with an 8-2 record through her first 10 fights, Anderson is essentially the last top 145-pound contender Cyborg hasn’t defeated during her destructive 13-year run. Anderson's debut performance against Holly Holm on Saturday in Chicago should provide a decent sneak peek into whether she'll be able to give Cyborg much trouble if and when that fight finally happens. Anderson is a +190 dog vs. Holm, who's laying -230 odds at 5Dimes. Anderson, a 6-foot Aussie striker, will get the red-carpet treatment come Saturday night, both in the form of a high-profile opponent and a prime spot on the pay-per-view card. Holm vs. Anderson was originally set to take place as the featured preliminary bout on FOX Sports 1 before the UFC amplified its PPV card with the addition of the two ladies in place of Alistair Overeem vs. Curtis Blaydes. Though much of the fighting community is holding out for a super-fight between the two most dominant female champions on the roster – Amanda Nunes and Cyborg – a flashy victory from Anderson could force the UFC to pump the brakes just a bit. __Rafael dos Anjos aims at making history… and pleasing the MMA community__ In just a year’s time, Colby Covington has gone from unknown welterweight contender to possibly the most despised active fighter on the UFC roster. Virtually all of that latter sentiment stems from what’s come since he defeated former middleweight and welterweight title contender Demian Maia last fall, using his platform to become MMA’s newest bad guy. From ridiculing his elite contemporaries to calling the country of Brazil a “dump,” and its people “filthy animals” while in Sao Paulo last October, Covington has clearly taken a page out of the books of Chael Sonnen and Conor McGregor to become a relevant player at 170 pounds. Though some may call themselves a fan of the act, most are hoping to see the 30-year-old wrestler get his in the way of a loss inside the cage. That’s where Rafael dos Anjos comes in. The former UFC lightweight champion is looking to make good on his goal of becoming the first-ever Brazilian fighter to hold UFC titles in two weight classes, and just the fifth fighter all-time to do so regardless of nationality. Dos Anjos’ shot at the interim title comes less than a year removed from his debut at 170 pounds, going 3-0 since the jump up in weight with wins over Tarec Saffiedine, Neil Magny and, most impressively, former champion Robbie Lawler. Dos Anjos has proven to be a force at welterweight, but some may argue he hasn’t yet faced a troubling fighter like Covington. The winner likely moves on to face official champion Tyron Woodley later this year, hoping to end the champion’s six-fight unbeaten streak. ! [AP 17190199478518](//images.ctfassets.net/p0ykbbcw3bn6/POdFW7Oue2MOcSMaeWmCo/e3f45c157542921843b441b9f1b0004d/AP_17190199478518.jpg) The betting market has this fight pretty close to a coin-flip, with dos Anjos priced as the -120 favorite and Covington offered at even-money. __The world’s best middleweights meet again__ When Robert Whittaker and Yoel Romero first met last summer, neither man was recognized as a champion. Now, they both are. Headlining UFC 213 last July in the wake of several last-minute scheduling disasters, Romero and Whittaker locked horns for the rights to become the UFC interim middleweight champion. It appeared after two rounds it was Romero’s honor to hold, only for Whittaker – who suffered a knee injury early in the bout – to put forth one of the more memorable come-from-behind performances to steal Rounds 3-5. At the time, Whittaker was next in line for a crack at then-champion Michael Bisping, only for the UFC to change its mind on cancelled plans for Bisping vs. Georges St-Pierre three weeks later. St-Pierre eventually defeated Bisping in November 2017, poised to unify his championship with that of interim titleholder Whittaker. But, as many predicted, St-Pierre vacated the throne shortly after seizing it, avoiding a bout with Whittaker in the process. That elevated Whittaker from interim to undisputed champion, though the latter designation wouldn’t last. Whittaker was then scheduled to meet former champion Luke Rockhold, an opportunity that ultimately went to Romero after the champion was forced to withdraw due to injury. Romero defeated Rockhold with a vicious barrage in their main event bout for the interim title in February, laying the groundwork for a rematch with Whittaker just 11 months removed from their original outing. Whitaker is the -240 favorite Saturday, Romero the +200 dog. With both men combining for victories over the Nos. 2, 3, 5, 6, 8, 9 and 10 fighters, there is little doubting that the last man standing will rule over the 185-pound class without much contention.